North America Flat Glass Market analysis based on Product, Application, Industry Analysis Report, Regional Outlook, Application Potential, Price Trends, Competitive Market Share & Forecast, 2018 – 2024, estimated to exceed USD 12.5 billion by 2024. Canada flat glass market size from automotive application may surpass USD 320 million by 2024. Rapid urbanization along with rise in automobile consumption and production along with vehicle safety and lightweight properties will stimulate product penetration over the forecast timeframe Rise in consumer spending for lightweight automobile to reduce carbon emissions growth along with increased product usage in manufacturing windows and backlights will stimulate product demand. 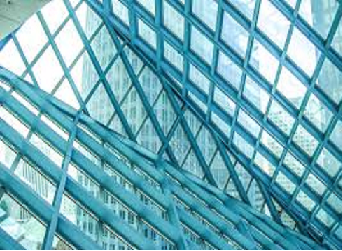 North America tempered glass market size may account for 5.5% by the end of forecast period. Increasing investments in commercial and residential construction projects along growing safety concerns is likely to drive product demand. The product has exceptional hardness characteristics due to which it is used in building structures & home applications including shelves, table tops, partitions and shower enclosures, which in turn will stimulate flat glass market demand. North America flat glass market share is highly fragmented with key companies inclusive of Guardian Group, Xinyi Auto Glass, Dillmeier Glass Company and Oldcastle Building Envelope. Companies are now focusing on innovative strategies to obtain competitive edge.